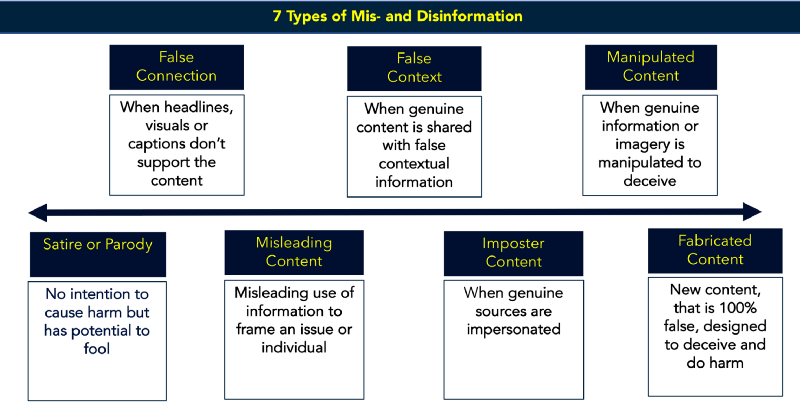 Dalam kegiatan kami untuk debunking / fact-checking / tabayyun / meneliti kebenaran suatu berita, perlu ada kesimpulan tentang klasifikasi dari berita tersebut. HOAX adalah istilah yang mencakup semua variasi dari “berita bohong”. Half-truth (separuh benar) termasuk juga sebagai hoax, terinspirasi dari Al-Quran Surat 2 (al Baqarah) ayat 42. Satir / Parodi : tidak ada niat jahat, namun bisa mengecoh. False Connection : judul berbeda dengan isi berita, dst. False Context : konten disajikan dengan narasi konteks yang salah. Misleading Content : konten dipelintir untuk menjelekkan. Imposter Content : tokoh publik dicatut namanya. Manipulated Content : konten yang sudah ada, diubah , untuk mengecoh. Fabricated Content : 100% konten palsu. Maka, diharapkan bisa bermanfaat untuk mereka yang membutuhkan data-data yang akurat, seperti untuk riset, dst. In our work to debunk / fact-check a piece of information, we need to be able to conclude / classify its type. Inspired by veteran fact-checkers such as Snopes.com , the simple classification consisted of only TRUE or HOAX. This makes it easier for the public to quickly conclude about the type of an information. HOAX is defined as “false information”. HOAX includes all types of false information (mis/disinformation, satire, etc). Half-truth is classified as HOAX, because it tend to confuse a layman. This is inspired by The Quran, where it sternly ordered the Muslims not to mix the truth with lies. Satire / Parody : no harmful intention, but may fool people. False Connection : headlines differed from content, etc. False Context : content is served with the wrong context. Misleading Content : spin-doctoring a truth to slander others. Imposter Content : hijacking / using the name of a public figure to promote a hoax. Manipulated Content : editing existing content to fool others. Fabricated Content : 100% false content, designed to fool or cause harm. This will enable academics / researchers to analyze our data with better accuracy.